Now established as a mainstream manufacturer, China's Trumpeter has a fascinating range of kits, and here’s a ‘Lucky Seven’ listing of April 2014 releases. 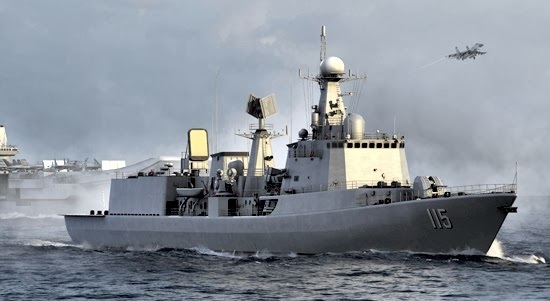 The People’s Liberation Army Navy (PLA or PLAN) Type 051C (below) is a semi-stealth air-defence vessel, designed to operate as seaborne protection for China’s growing aircraft carrier fleet. One of currently 469 Chinese naval ships, the Trumpeter model is to 1:200 scale. 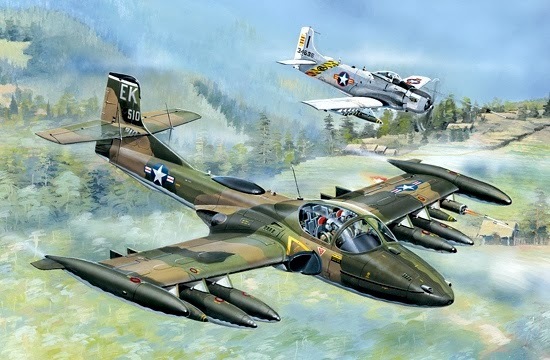 The Cessna A-37A Dragonfly (sometimes nicknamed the Super Tweet) is a light-attack aircraft, dating from the Vietnam War era. Long-gone from US service, some 38 A-37s are still in service with six South American air forces. The Trumpeter kit (below) is to 1:48 scale and will come with full ordnance, tip tanks, and dorsal radome. 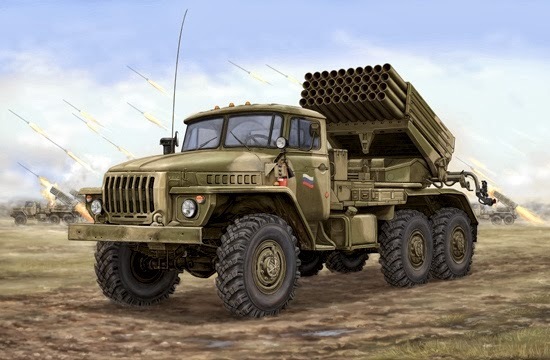 The Russian BM-21 is a multiple-rocket launch vehicle, the Trumpeter kit (below) being to military-modelling standard 1:35 scale. The BM-21 is widely used across the world, and has been in dozens of conflicts since it was introduced in the early 1960s. Note: BM stands for boyevaya mashina (combat vehicle) and is also known as the Grad (Hail). 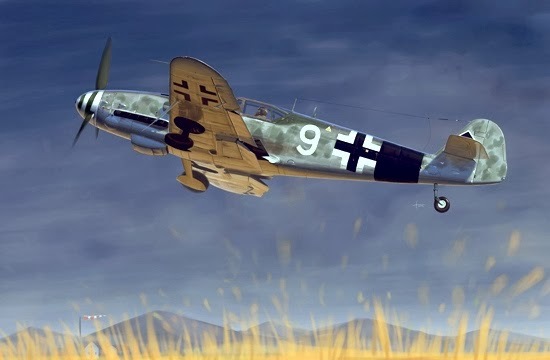 Messerschmitt’s World War II Bf-109 was a spectacular success that flew in all combat zones throughout the war. The G-10 was a late model, chiefly recognizable for its ‘Erla-Haube’ canopy design, giving a clearer field of view for pilots. The Trumpeter kit (below) will be satisfyingly large when assembled and painted, as it is to 1:32 scale. 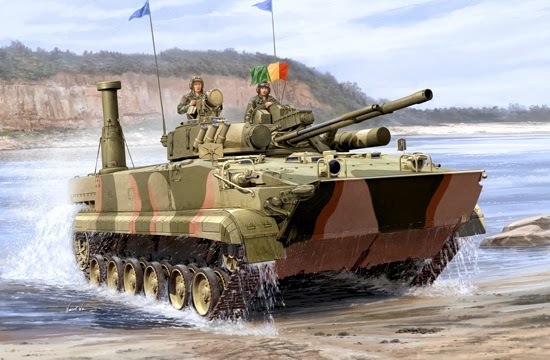 The BMP-3 is a Soviet amphibious vehicle that entered service in 1987. The name is a giveaway, BMP standing for Boevaya Mashina Pehoty (Infantry Combat Vehicle). The Trumpeter kit (below) is to military-model standard 1:35 scale. 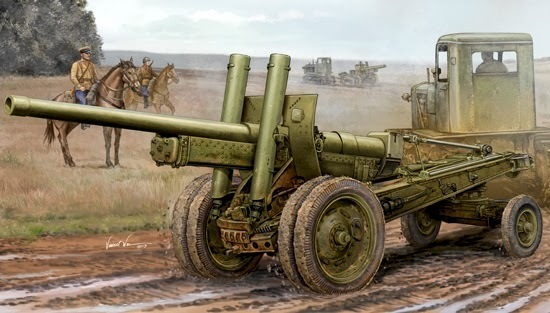 Another Soviet piece of hardware from Trumpeter, the A-19 122 mm field gun (below) was produced in the mid-1930s, when some 450-500 were built. The Trumpeter kit features this versatile piece of hardware to 1:35 scale. 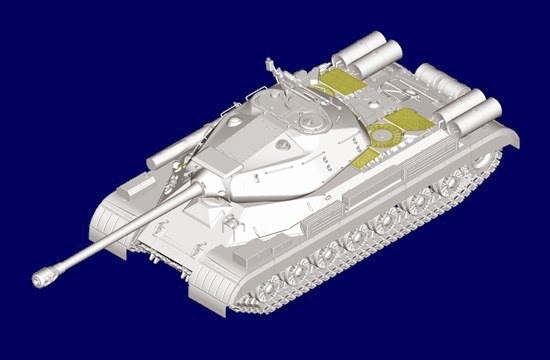 Last of April’s Soviet-era military roundup is the JS-4 heavy tank, shown (below) in a Trumpeter cgi visual, used for mould development. Once again, the kit is to 1:35 scale, and should be a popular choice for modellers interested in Josef Stalin’s World War II combat equipment. Click below to see plenty of Trumpeter kits.